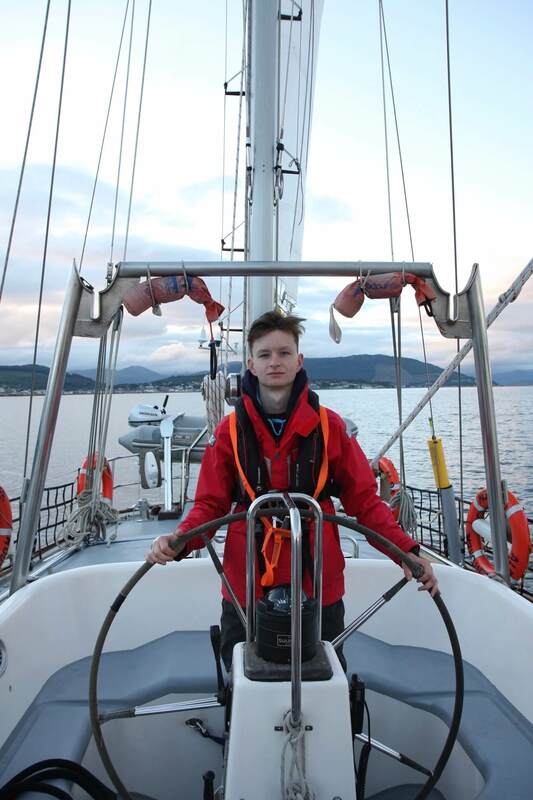 The Headquarters Air Cadets West Coast Challenge offshore sailing expedition set out from Greenock on the River Clyde on Monday the 6th of August with a nervous and apprehensive group of 11 Cadets and two adult staff on board the 72’ Ocean Youth Trust Scotland yacht, Alba Venturer. 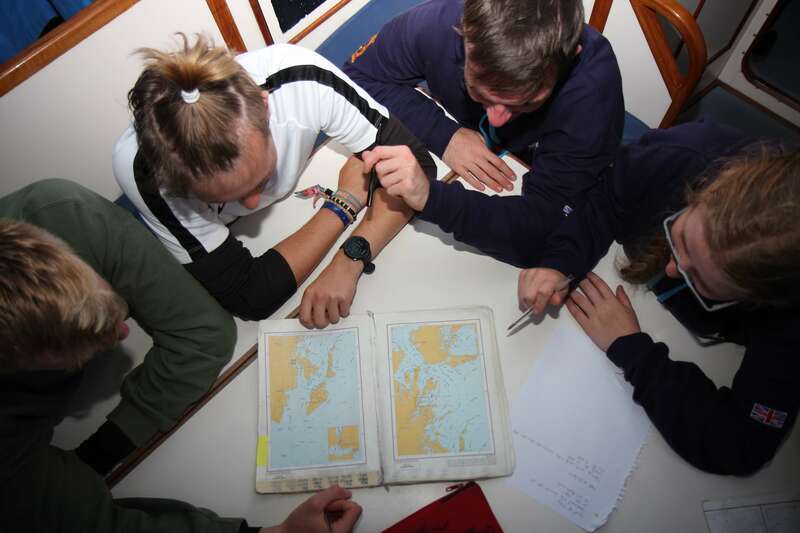 Since the first annual voyage in 2005 the groups of over 18 year-old Cadets have set high standards of determination, endeavour and achievement under the watchful eyes of the OYT Scotland sea-staff. 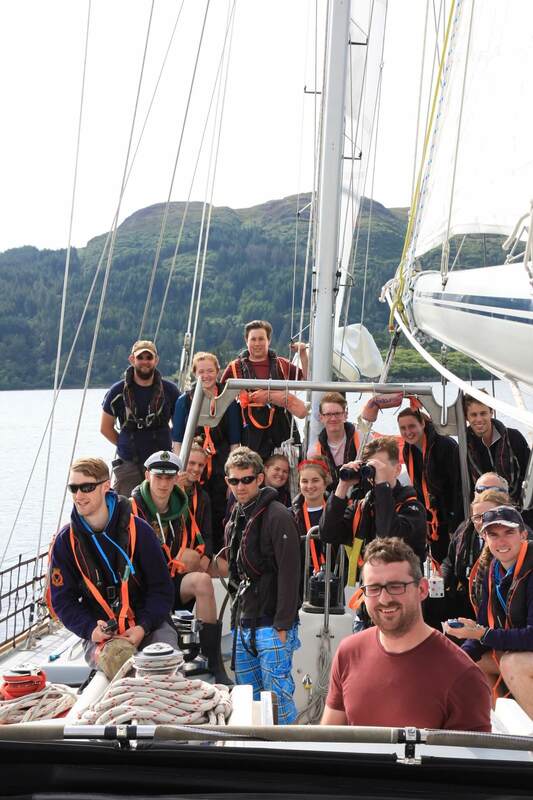 So much so that their reputation attracts the attention of OYT Scotland volunteers and regular crew who jostle for a place on board for the RAFAC voyage. 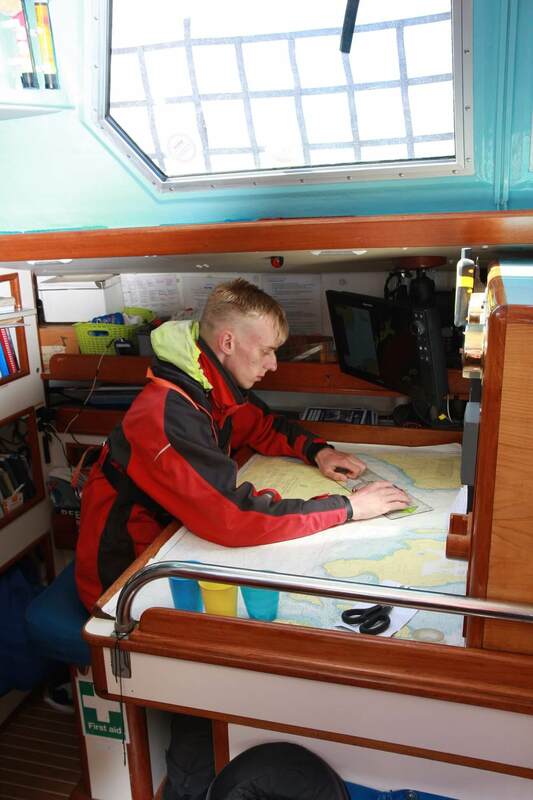 And this year was no exception; skipper Ian had first sailed with Cadets in 2006 on an outstanding voyage to Iceland. As a Mate, Allister, a retired RAF navigator, was on his third Cadet venture, as was his colleague Will, a former CCF officer; bo’sun Dylan was there having completed his OYT Scotland training after sailing as a Cadet in 2016. This only left first mate James wondering what to expect. But he was soon impressed with what he saw and came to realise the demands that would be placed upon him to satisfy the energy, enthusiasm and appetite for knowledge that he was witnessing. 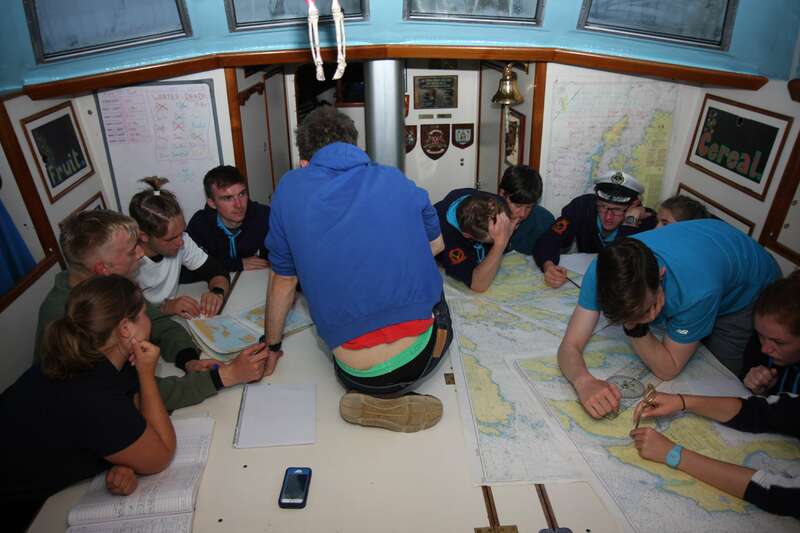 The first leg of the voyage saw the cadets rapidly organised into watches for the 24-hour sail to the Isle of Gigha. No mean feat for the novice crew having to contend with a choppy sea, fickle winds and determined tides together with cooking, eating, sleeping and simply finding their ‘sea-legs’ in this strange and relentless environment. Once rested the Cadets reflected upon their rapid development in such a short space of time and then there was no holding them. 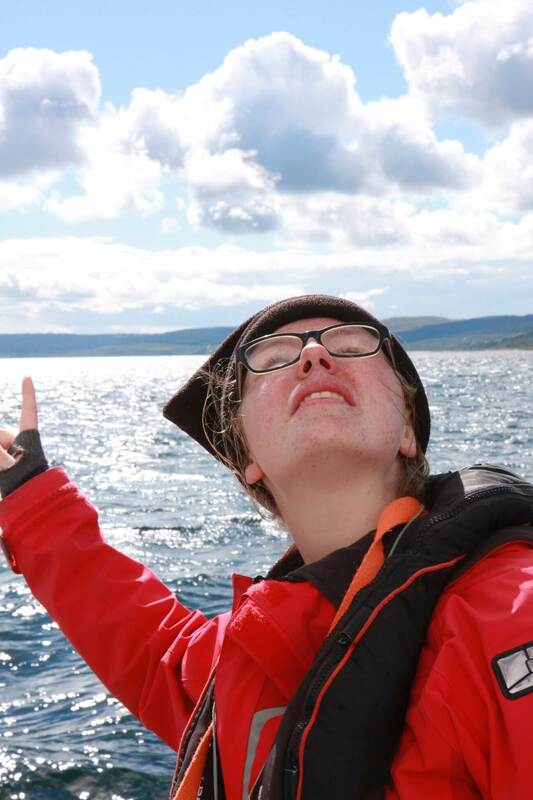 Early starts and long days, exhausted sleep interrupted by spells on nightly anchor watch saw the voyage progress to Collonsay, Cambletown and Tarbert before returning to Greenock having covered 317 nautical miles in seven days! Starting out as novices the Cadet crew tied-up for the final time with a new found confidence and a tingling sense of awareness. 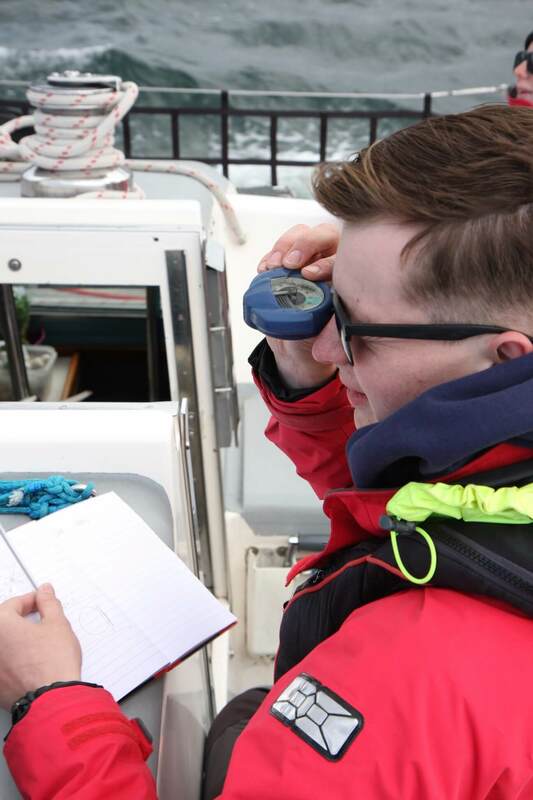 Now confident navigators, helmsmen and sailors; each having gained their RYA Competent Crew qualification – what a success! When they return to their units, spread across the RAFAC organisation, the Cadets will have time to reflect on their experiences and how they were given the opportunity to learn new skills and to explore their own capabilities. They will have a greater understanding of leadership, management and teamwork. And as they next welcome the newest recruit into their squadron they might remember how their potential was recognised and released under the skilful guidance of the OYT Scotland crew. The Cadet crew and the RAFAC staff team are indebted to the Ulysses Trust and the RAF Charitable Trust for their generous and continued support without which this expedition would not have been possible. Our most grateful thanks to all concerned. Report complied by Sqn Ldr Mike Blakey, MBE, RAFAC.